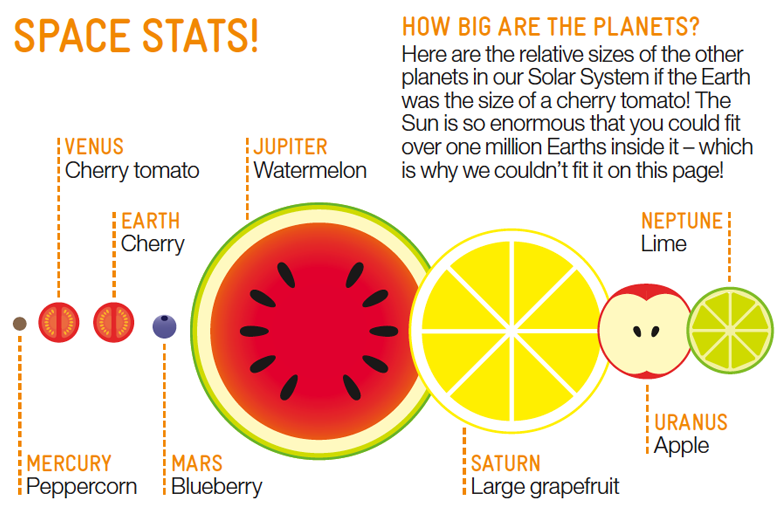 BBC has a giant pdf filled with astronomy activities: Star Gazing Live Star Guide 2012! Featured below is their activity of comparing planet sizes with food (page 22). Illustration via BBC, click the link to check out the rest of the activities!